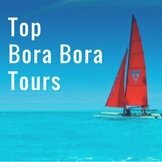 We compiled these very useful tips for staying at the St Regis Bora Bora after a recent 5night stay. 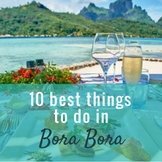 This accommodation, dining and packing advice will help make your Bora Bora vacation spectacular. Although the St Regis Resort is spread over a very large area, most of the accommodation is placed along one long pontoon in the lagoon.So it feels like there are a lot of over water bungalows and they are quite close together. 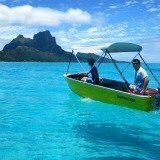 Avoid booking an over water bungalow on what we now call “jet ski alley”! Not only is the view from the bungalows looking back towards the motu rather ordinary, but the area between the arm of the St Regis over water bungalows and the beach is used by some tour providers as a main stop while zipping around on jet skis and other noisy watercraft. We had this aha while taking an exciting jet-ski tour ourselves. Suddenly we understood all the annoying traffic in the area near our bungalow. 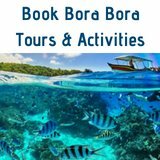 If you don't want to feel like you are in Sea-world, and if you do want to see that you are in Bora Bora, then choose another bungalow category. This area can also be subjected to smoke blowing from the rubbish site of the neighbors, just across the water. We had this every day. Learn from our experience. 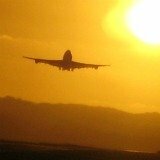 Noise and smoke are definite avoids on a romantic island vacation. If the cost of a Mountain View overwater bungalow doesn't fit your budget we recommend choosing a spacious on-land villa, which has it's own pool. 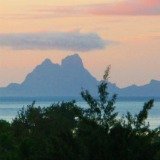 And if you don't take these accommodation tips for staying at St Regis Bora Bora ... don't say we didn't warn you! Email ahead of your stay to make a booking for 6pm at Lagoon Restaurant for one of your first nights, in case you want to eat there again. Dining early at Lagoon, alongside the water, on the evening of a gorgeous sunset can be a special experience. 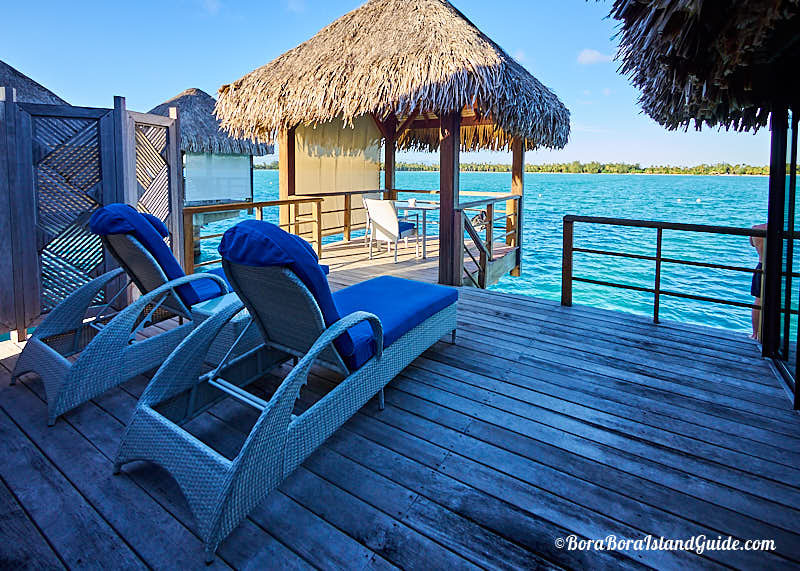 Being at the Lagoon bar when it opens – or out on the Bora Bora lagoon for a sunset cruise – is simply the best place to be while the sun sets. The best meal we had at St Regis was an intimate dinner for two. If you'd like to celebrate with one of these special dinners organize it ahead of time to ensure a night is available during your trip. There are two beaches to choose from. 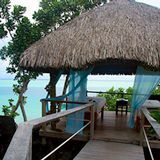 We experienced a wonderful dinner on the spa beach and consider it by far the best location as it is very private, with an idyllic view towards Mt Otemanu. Book for 6pm to savor the astounding view and tranquility at sun set. Bring clothes and shoes that you can be comfortable in ... while riding a bicycle. 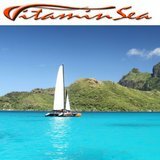 The resort is spread out over large grounds so there are considerable distances between amenities. You can ring for a cart but you cannot depend on just how long it will take to arrive and it's a wobbly ride anyway. What we most enjoy about the St Regis is the freedom of riding along the romantic winding paths and bridges around the resort. This gives the feeling of a true tropical island getaway. We rode to breakfast, lunch, and dinner; the pool, the spa and the beach; and we hadn't ridden bicycles for 20 years! I could lift a loose skirt up over my knees, but stilettos don't deserve space in your bag. 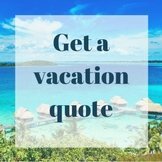 Are you are traveling for a special occasion such as a honeymoon or anniversary? 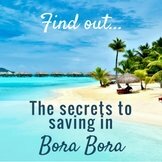 Take advantage of another of our best tips for staying at St Regis Bora Bora. Make your booking through a specialist travel agent - who has access to special bonuses - so that you can have extras bundled in like we did: a couples massage in the lovely spa; a romantic flower bed; and champagne plus pastries, on arrival. 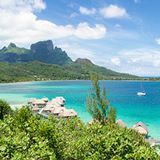 The biggest question about where to stay in Bora Bora often comes down to choosing between the St Regis Resort or Four Seasons Resort. 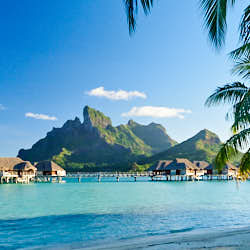 If you use the above tips for staying at St Regis you will have a superb Bora Bora vacation. 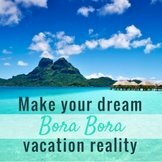 However if this is a “once in a lifetime” vacation we suggest that you also check out why stay at Bora Bora Four Seasons? 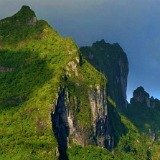 Compare these 2 top resorts to discover which style of stay suits you most. 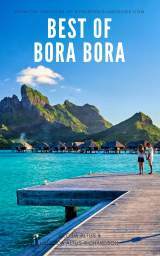 However, the big question isn't that simple anymore because Bora Bora Conrad Nui has opened up with dazzling all-new over water bungalows! 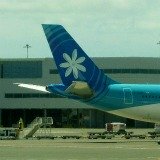 We stayed there after St Regis and loved everything about the new Nui. Want more information about St Regis – such as the interior condition of bungalows and what to expect from the butler service? 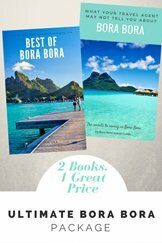 There's more detailed tips for staying at St Regis Bora Bora, along with a comparison focused on how this hotel compares to other resorts, in our “Best of Bora Bora” Book. Download the eBook now to find out more great tips, or order a paperback copy to be delivered to your door.